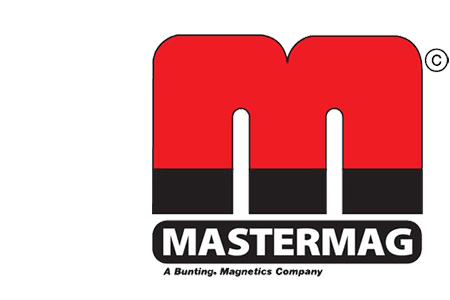 BREMAG compression bonded or plastic bonded magnets offer the highest energy (10, 10.5 and a World Leading 11MGOe) of all types of bonded magnets. Because of the higher energy the key applications for compression bonded BREMAG magnets are brushless dc motors, actuators and sensors. Since a finished BREMAG permanent magnet component still contains a proportion of non-magnetic material (which is at least 15% by volume), the magnetic properties are of course inevitably somewhat reduced compared to a fully dense NdFeB magnet. 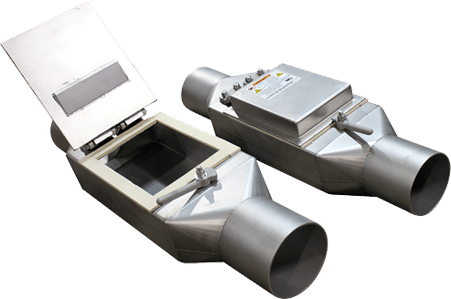 The remanence and normal coercivity of the finished magnet are directly proportional to the powder loading (providing the powder is uniformly dispersed), even at low powder loadings, e.g. 10%. However, the intrinsic coercivity and hence the ability of the material to withstand irreversible demagnetisation is independent of powder loading. 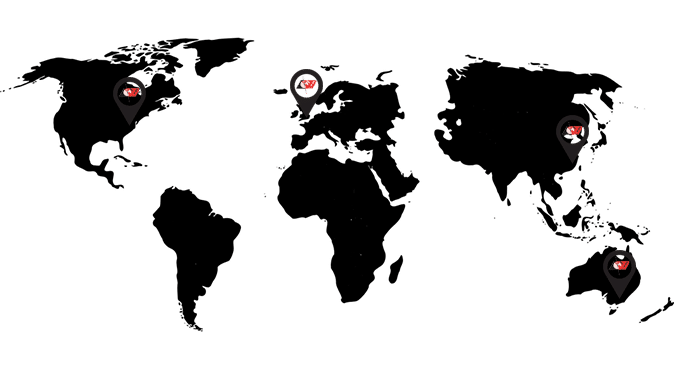 Bunting Magnetics Europe take advantage of this property by offering a range of special blends of BREMAG, which have the same mechanical and thermal properties as full BREMAG, but with diluted magnetic properties. The purpose of the SB grades is to fill the gap in magnetic properties between the ferrite grades and BREMAG. Often, mechanical design constraints dictate that a magnetic component must be of a certain physical size. By using a special blend the magnetic properties can be optimised for that physical size, and the cost reduced by minimising the volume of magnet powder in the magnet. In addition SB blends offer possibilities of having a range of magnets with different properties with only one tooling cost. It also gives an alternative method of setting the flux of a magnets rather than calibration during the magnetisation process which is more complex. For bonded BREMAG magnets, the fact that these magnets are both easily manufactured as a single piece ring and the magnetic properties are isotropic so they can be fully saturated in any direction means that BREMAG rings are ideal magnets for multi-pole magnetisation and they can either be magnetised before assembling to the rotor hub, or after assembly. Another advantage of the isotropic nature of BREMAG magnets is that more complex magnetisation patterns can be achieved. Multi-pole magnetising fixtures can be easily skewed for the reduction of cogging torque rather than skewing actual magnets on the rotors. For sensors or encoders, high pole numbers can be achieved, higher than would be practically possible with individual magnet segments, or multiple track systems where tracks with different numbers of poles are required on one component. In addition through careful design of the magnetising fixture it is possible to control the shape of the resulting surface flux density waveform of the magnetised multi-pole component. 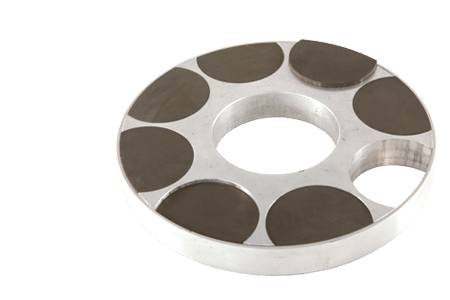 For example rotors constructed from sintered NdFeB magnets tend to have square or trapezoidal shaped flux density waveforms, whereas with BREMAG magnets it is possible to vary his shape between trapezoidal or sinusoidal shapes which can be useful for reducing cogging torque for example. 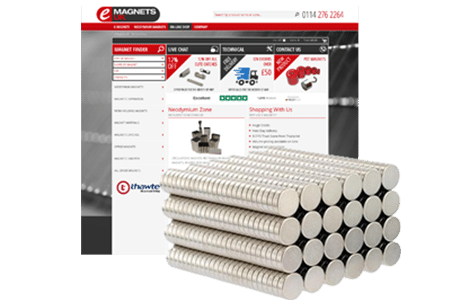 Eddy currents is another area where bonded magnets offer advantages over sintered magnets. In the design of high speed permanent magnet machines it has become increasingly popular to in effect laminate the magnetic poles of the permanent magnet rotor to minimise eddy current losses. This is done by manufacturing the poles from small sintered magnet segments instead of one single magnet [PHOTO perhaps]. These segments are then bonded together to form a complete pole before assembling into the machine, often with glass beads in between each segment to control the thickness of the gap and thus help maintain dimensional tolerances and also to ensure the segments are electrically isolated. Whilst this is an effective way of reducing eddy current losses, it significantly adds to the cost of manufacture. Bonded magnets however, have a much lower electrical conductivity than sintered magnets because of the presence of the binder used to bond the powder and therefore do not need laminating for high speed operation. In summary, BREMAG magnets offer many advantages over other magnetic materials. For applications that utilise ferrites, BREMAG magnets offer a step up in performance without having to make the relatively large jump in properties to fully dense sintered NdFeB and often with cheaper tooling costs. 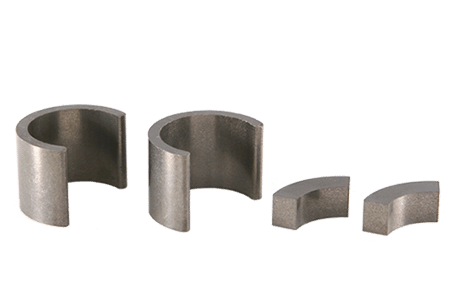 As an alternative to sintered rare-earths, BREMAG magnets offer significant advantages in terms of flexibility of manufacture, multi-pole or post assembly magnetisation, reduced eddy current losses and rapid prototyping.